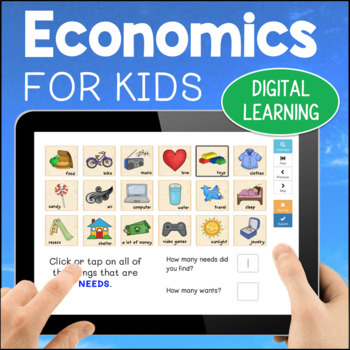 This is an interactive digital learning experience about economics for primary grades. 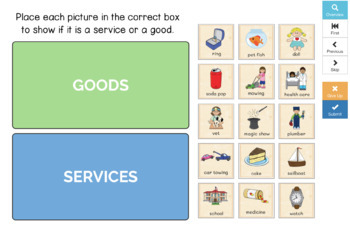 Students will learn about needs, wants, goods, and services while using interactive features. Includes video, information and narrative text, multiple-choice, open response, and drag-and-drop items. This resource is hosted by Boom Learning. Your purchase here allows you to use Boom for free! It means your students can work on this activity independently using any internet-enabled device (desktop, laptop, tablet, phone)! It means it will work with your interactive whiteboard! It means that the activities are self-checking! It means no papers to print, collect, or grade! Best of all, it means that you can track your students' progress! This resource is not simply a set of questions. It is an independent, interactive activity. 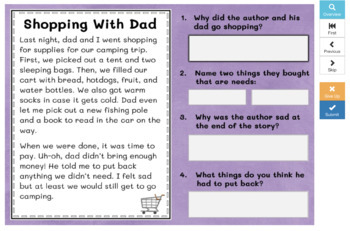 Students will read and complete tasks along the way. Check out the preview to access a playable link which will allow you to try out how this product works. 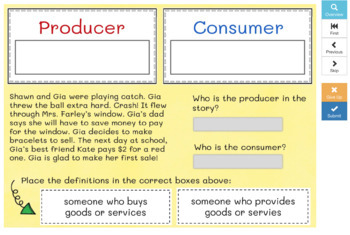 PLEASE NOTE: This resource contains some of the same content found in my non-digital Primary Economics bundle.